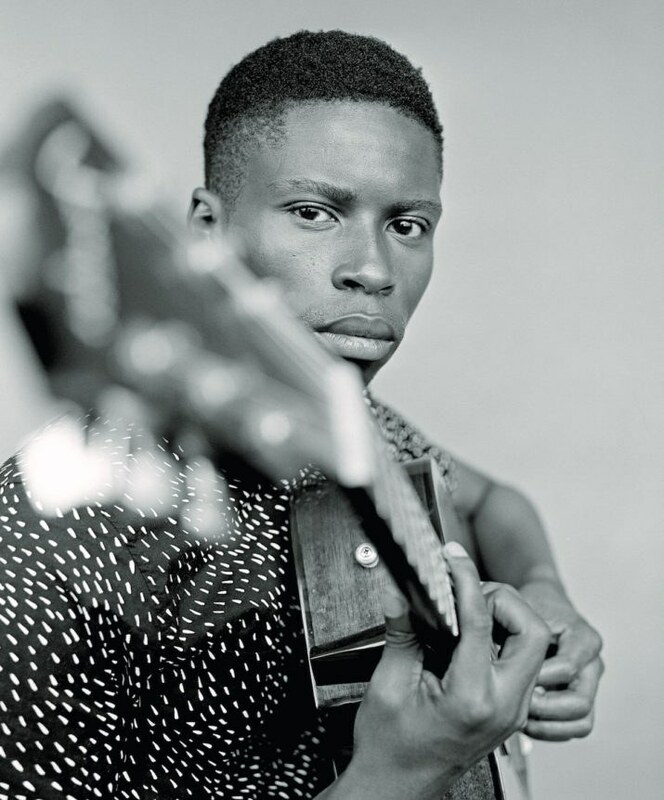 South African folk singer Bongeziwe Mabandla’s critically-acclaimed debut album Umlilo was released in 2012. Since then, the artist has become a notable name in the African music scene, with two South African Music Awards nominations under his belt. Mabandla made a name for himself for wearing his heart on his sleeve and turning melancholy into beautiful songs filled with spirituality and soul. On his latest single “Ndokulandela,” which means “I Will Follow You,” the singer takes off from where Umlilo left off, but not without any sprinkles of freshness. Beneath those sincere vocals and strings is a high-pitched synth sound you would only expect to hear from electronic music. Mabandla is progressing instead of taking the safe route of regurgitating a tried and tested formula—but the song still has the same hypnotic aura fans fell in love with on Umlilo. Bongeziwe. Photography by Kent Andreasen. “Ndokulandela” is the first single off Mabandla’s upcoming album Mangaliso, which will be released through Universal Music. On the album, he's worked with the same producer he worked with on Umlilo, that is Tiago Correia Paulo, who used to be part of the bands Tumi and The Volume and 340 ml. Mabandla also worked with Beatenberg drummer Robin Brink, who recorded most of the album in Cape Town. There’s also a collaboration with Spoek Mathambo on the record. It looks like fans are in for a treat when the album drops on May 7. In the meantime, feast on the brilliant “Ndokulandela” via Deezer and Google Play and watch Mabandla’s "Road to Mangaliso" below.